We wrap up the Now and Then series this week with a look at the old COPE rappelling tower. Next month we take a look at Boxwell weddings. On the left is the original COPE rappelling tower. Built in the mid-1980s, the tower was located along Craig Road near the upper edge of the Woodbadge parking lot. This was the tower in 2002; it was clearly past its prime and had long been surpassed by the Al Hendrickson Tower that we all know today–still the tallest building in Wilson County. On the right is the original COPE rappelling tower today. Yep, it’s gone. If you got the site, there are still four stumps in the ground where the telephone pole uprights used to be, but the tower itself is no more. 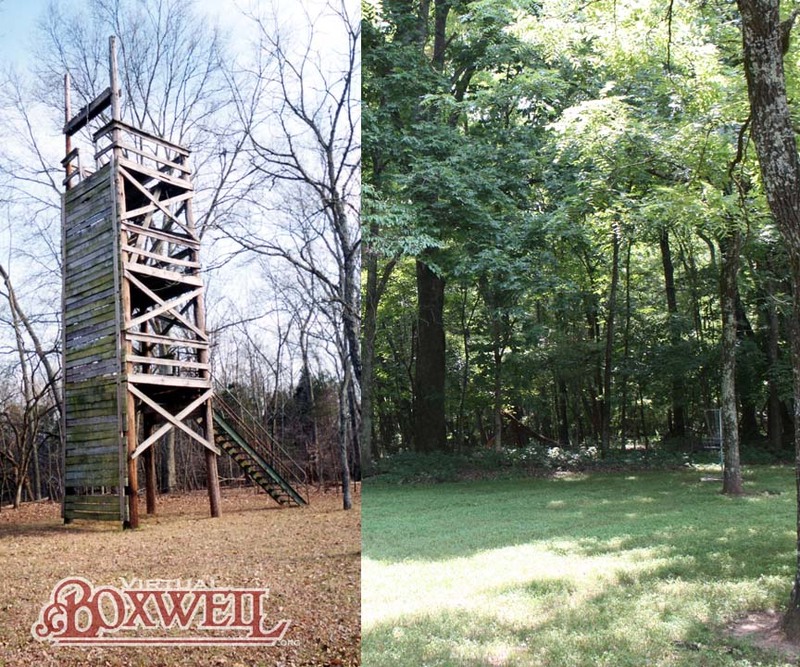 Here are two views of the original COPE rappelling tower. This entry was posted in From the Archives by virtual. Bookmark the permalink.